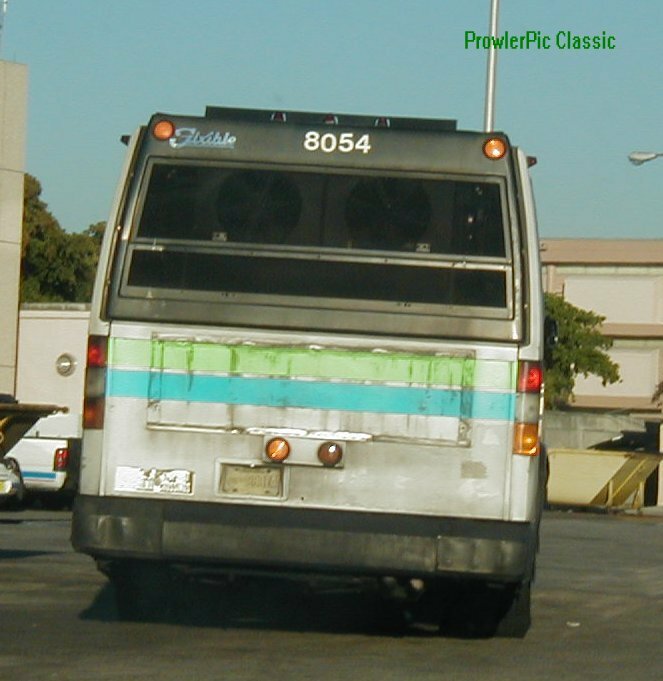 Bus 8066 at Dolphin Stadium. The 8000 series consisted of an order for 87 buses numbered 8001-8087. As the 7000 series, they came with the Cummins L10 mated to the Voith 863 automatic tranmission. They were all assigned to Central Division until 2001 when some went sent to NE and to CWD. The last four 8000s ran out of Coral Way. 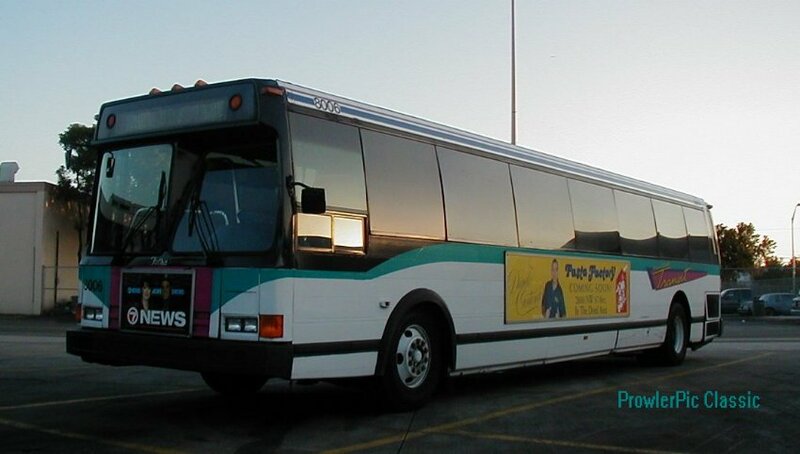 In September 2002 bus 8038 made its final run and was retired. The MDT fleet then became all accessible. Bus 8037 is still on the property. Bus 8038 was the last 8000 to run. Bus 8006 sits at Central after completing its assignment for the day. A tired looking 8054 pulling out for its afternoon assignment. Bus 8027 near retirement and still wearings its original livery.